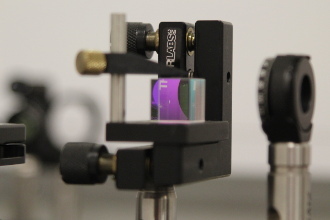 At D-Beam ltd, we provide optical diagnostics which have been developed as reliable and cost-efficient techniques for use at accelerator and clinical facilities, light sources, and reactors, i.e. for application in research, healthcare, security, environment and manufacture. Enhanced, simple-to-use diagnostics shall be provided for a range of applications at competitive prices. This includes compact self-mixing sensors for displacement and velocity measurements, light transport systems based on optical fibres for signal transport to overcome the current limitations of lens-based systems, as well as custom-designed radiators for particle detection, intensity assessment and beam loss monitoring applications. This includes self-mixing laser diode sensors for displacement, vibration and velocity measurements, light transport systems based on optical fibres that help overcome the limitations of lens-based systems, custom-designed radiators for particle detection and beam loss monitoring applications, as well as modelling of the expected signal output from various photo sensors, including Silicon Photo Multipliers (SiPMs), Photo Multiplier Tubes (PMTs) or Avalanche Photo Diodes (APDs). Our mission is to listen to our client’s specific needs and deliver high performance products through continuous product innovation and operational excellence. Because of the pivotal role we play in your business, D-Beam ltd is committed to creating and maintaining strong relationships with our customers, built on a foundation of excellence and trust. From the products we manufacture to our dedicated customer service and support, we know what’s important to you.